This year there was renewed energy at the rebooted 100% Design trade show - one of the anchors of the London Design Festival. Under new management, the show was buzzing with curious members of the design industry and a fresh layout. What remained the same: the most exciting sustainable furnishings came from emerging brands and designers, who explored the possibilities of flat-packed designs and the creative reuse of materials. Aiming to make Danish design affordable and accessible, Vita made a great show with their flat-packed lighting. 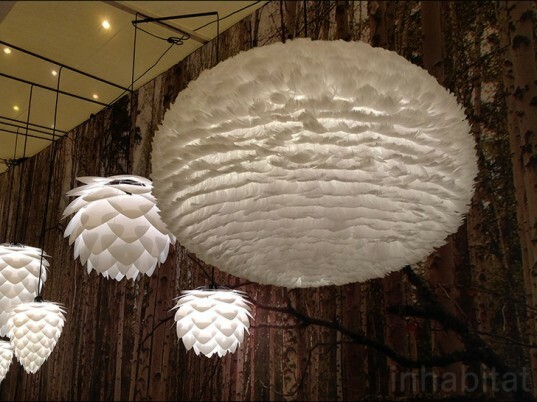 The Eos pendant light (shown above), which comes in two sizes, is constructed of feathers on a paper core. The lamp shades are designed to be flat-packed for delivery to the customer, and then assembled at home in less than 15 minutes. Some of their designs, like the Silvia lamp, can be used as either a pendant, table or floor lamp, as the lights are sold without fittings for maximum flexibility. The Spun Furniture range of stools and tables by Hugh Leader-Williams, winner of the 100% Design Award at New Designers 2012, are designed for easy production, assembly and disassembly. The powder-coated spun steel tops are connected with magnets to the ash frame, so they can be easily removed. The wooden frames can also be taken apart without tools, for easy transport and storage. 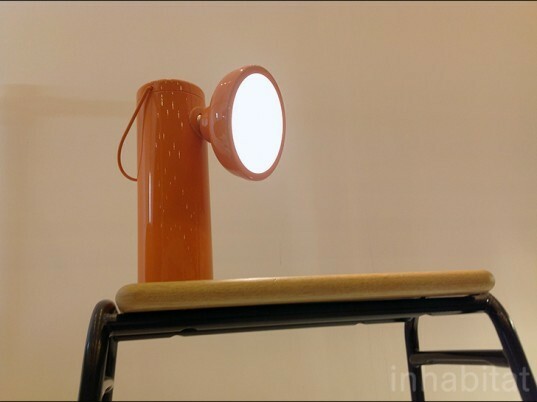 The M Lamp, designed by Brit David Irwin for Brooklyn-based manufacturer Juniper, is touted as a wireless task lamp that can go anywhere. Inspired by a miner’s lamp, the M Lamp is made of powder-coated aluminum and steel, and powered by an integrated rechargeable lithium iron phosphate battery. Currently on Kickstarter, the lamp sports a pivoting head and a handle for easy transport. Playing with the juxtaposition of oak, lacquered surfaces and ceramics, JiB Design Studio‘s Console O offers attractive and flexible storage. The ceramic pots are hand-thrown in London, and can either be used as planters or topped with oak lids for discrete storage of odds and ends. The console and coordinating credenza are hand-made in a workshop in Britain. 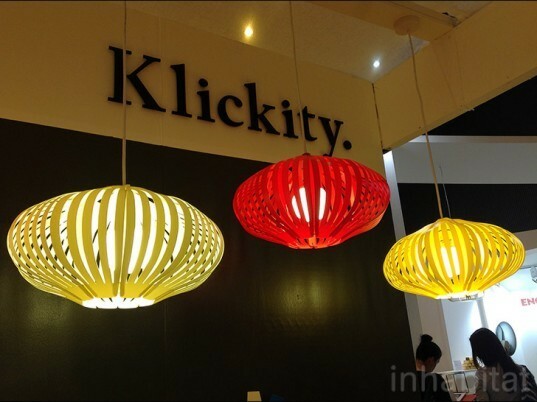 Klickity‘s accessories are designed and assembled in Ireland. The fig lamp, inspired by the traditional lantern shape, is made from 15 pieces of polypropylene, which come flat-packed. The lamp can be used with any standard pendant light fitting. 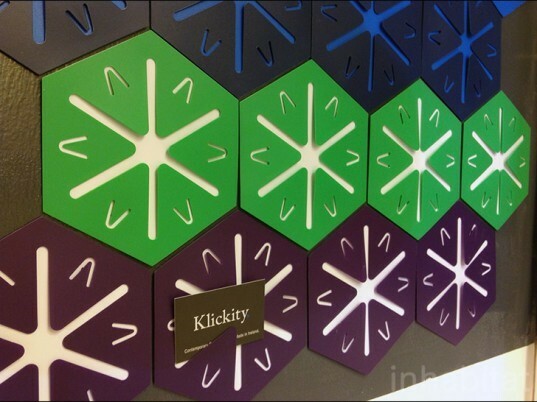 The hexagon shape of the sticky-backed Klip from Klickety allows you to create a modular bulletin board. You don’t need screws or glue to put the Kurk cork desk light together, even though it comes flat-packed. Because it all comes apart, each component of the light can be recycled or reused. 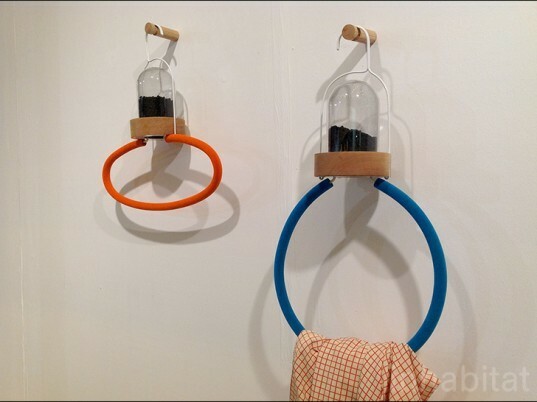 Bye Bye Laundry is a concept by Lisa Bengtsson that aims to cut down on the need to wash our clothes so often. Using activated charcoal in a glass container, the device keeps clothing fresher for longer, reducing the amount of water wasted by too-frequent washing. 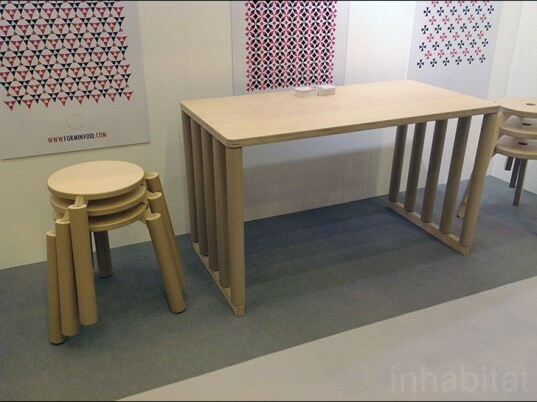 Form in Void‘s furniture makes clever use of discarded cardboard tubes from the printing industry. The cardboard legs of the table, bench, chair and stool are paired with plywood tops. 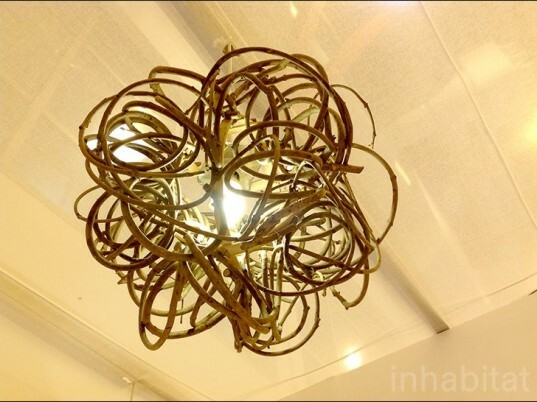 Designer Charlie Winney didn’t have to look far for inspiration for his CurlyShade pendant light. Using ash re-growth he sourced just 50 meters from his workshop, he crafted a very eco-friendly lamp shade by steam-bending branches into coils. The Witherslack Knot lamp shade by Charlie Winney is made from a single piece of ash that is split and then steam-bent into a spiral to show off the natural grain of the wood. Vita aims to make Danish design affordable and accessible with their flat-packed lighting. 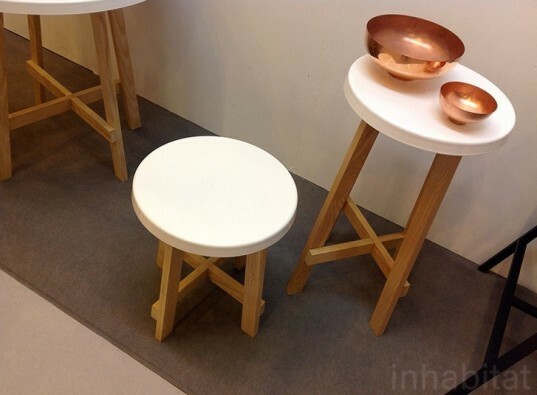 The Spun Furniture range of stools and tables by Hugh Leader-Williams, winner of the 100% Design Award at New Designers 2012, are designed for easy production, assembly and disassembly. The M Lamp, designed by Brit David Irwin for Brooklyn-based manufacturer Juniper, is a wireless task lamp with a rechargeable battery. 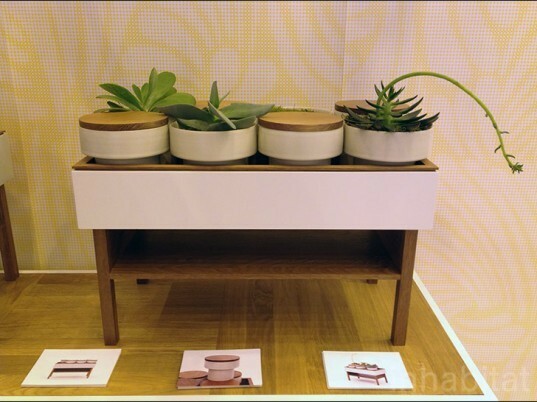 JiB Design Studio’s Console O offers attractive and flexible storage, with optional ceramic pots hand-made in London. 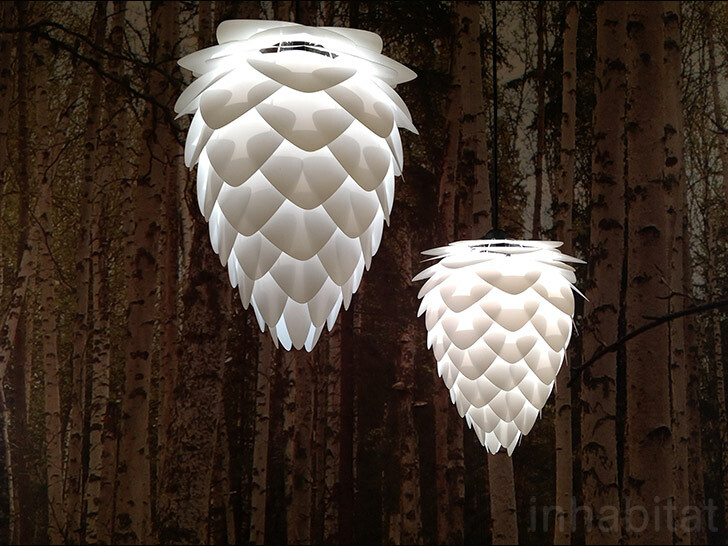 The fig lamp from Klickity is made from 15 pieces of polypropylene, which come flat-packed. 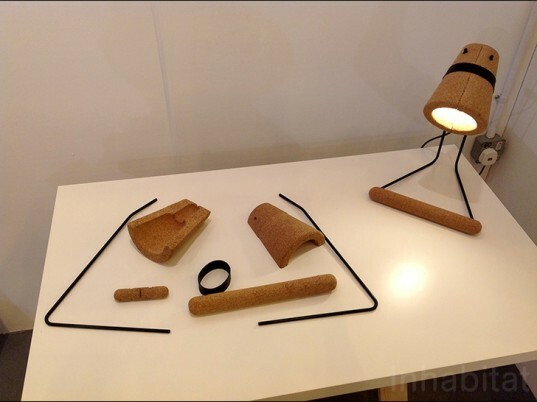 The Kurk cork desk light can be assembled and disassembled without tools. Bye Bye Laundry uses activated charcoal to cut down on the need to wash our clothes so often. The legs of Form in Void‘s furniture are made from discarded cardboard tubes. 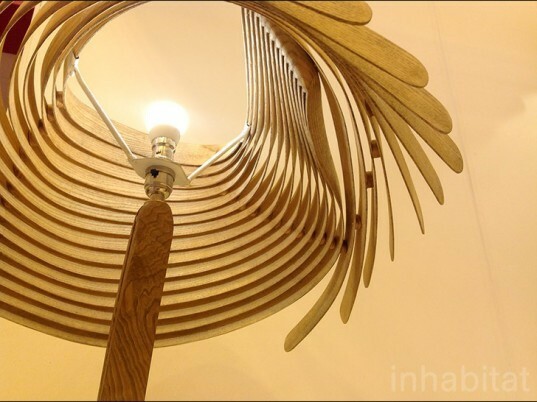 The CurlyShade pendant light is made from steam-bent ash re-growth. The Witherslack Knot Light is made from a single piece of steam-bent ash.